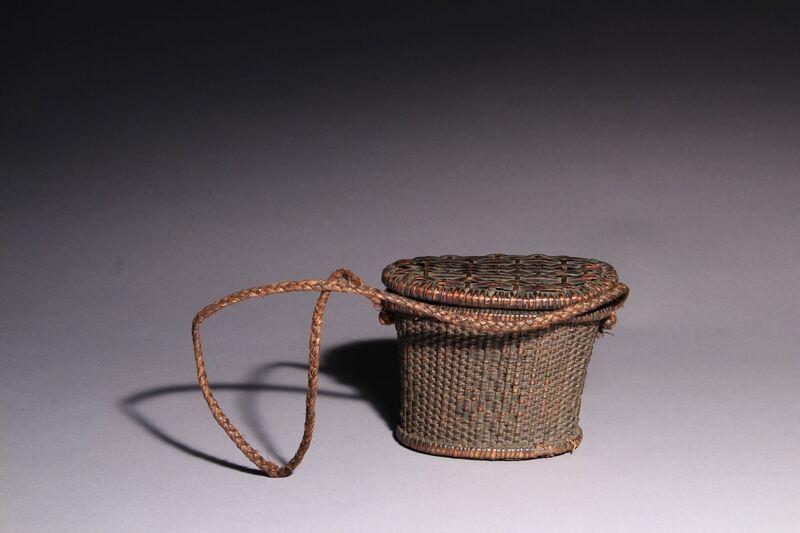 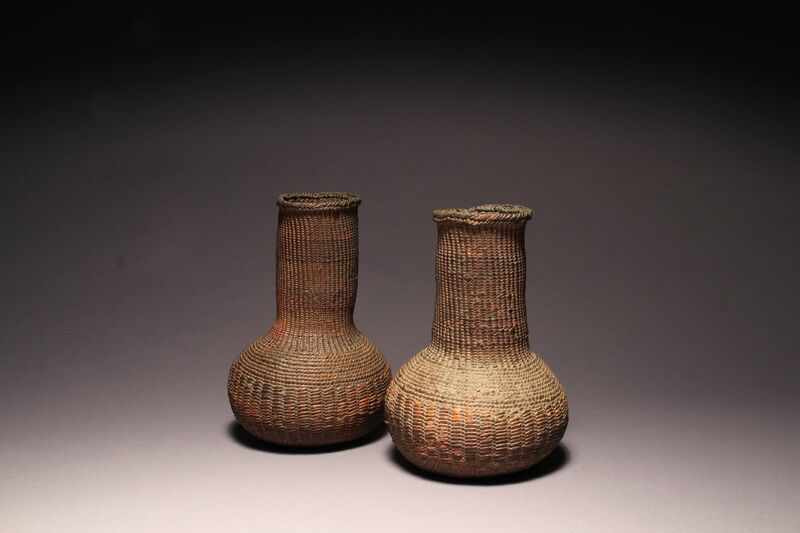 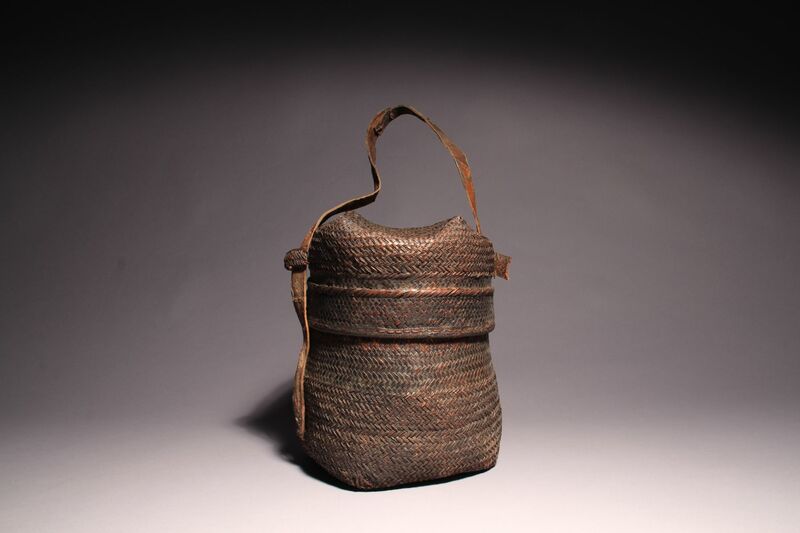 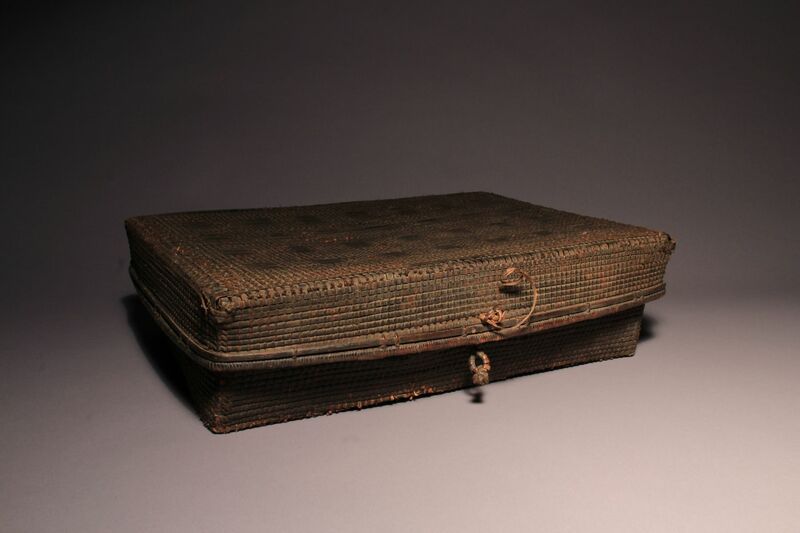 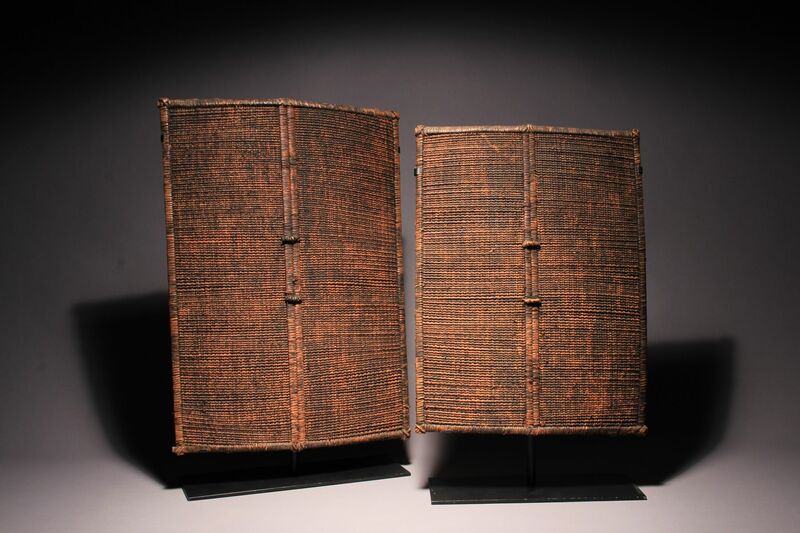 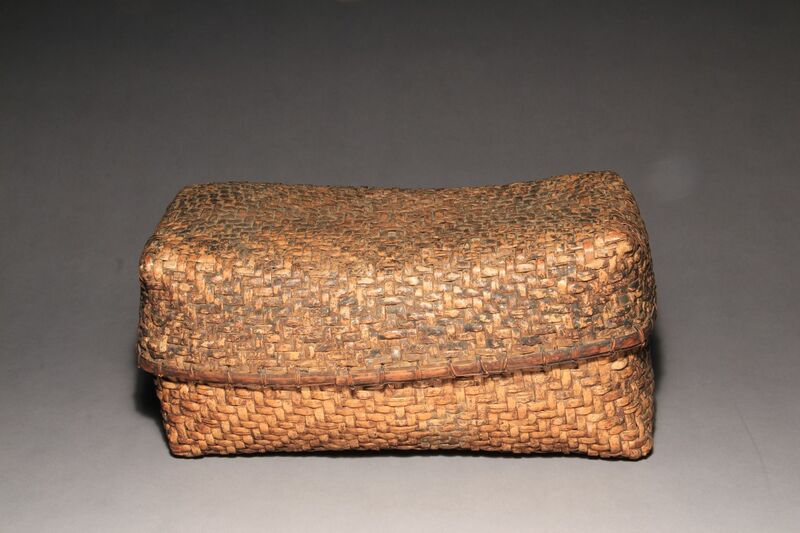 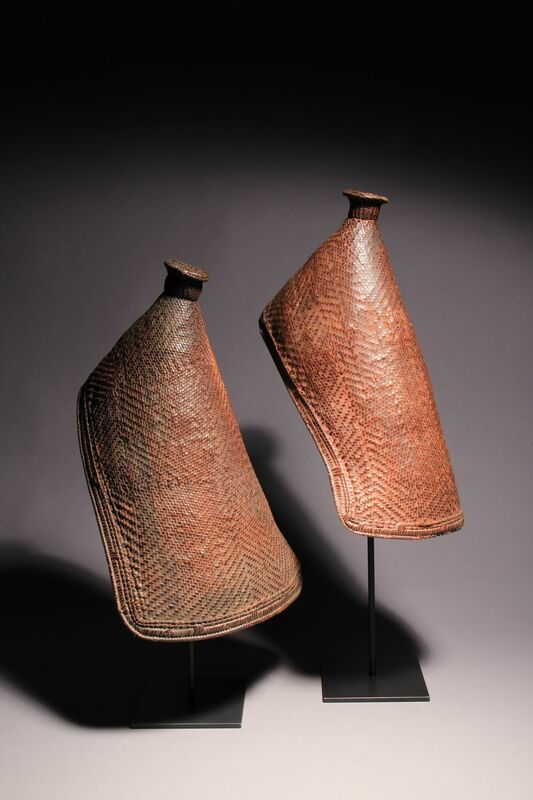 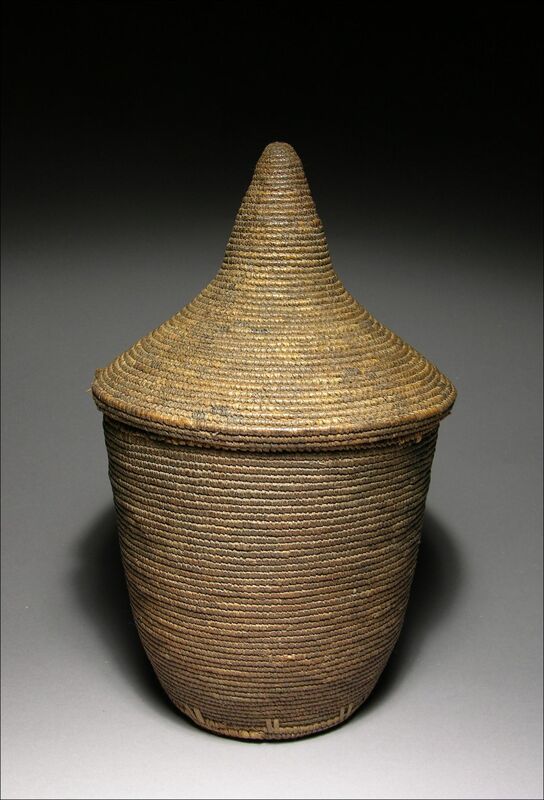 | #15369 | H29" x W: 14" | "SOLD"
Like other traditional African crafts - textiles, ceramics, and metal work, African basketry was generally overlooked by early ethnographers and collectors. 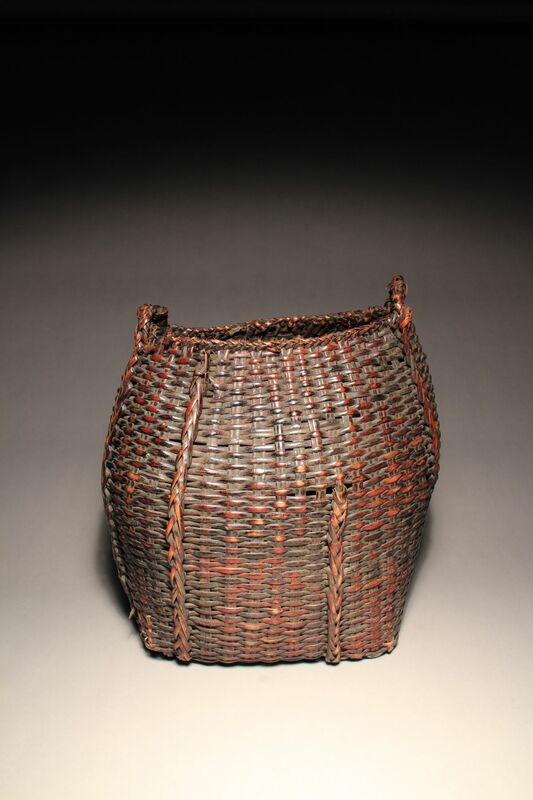 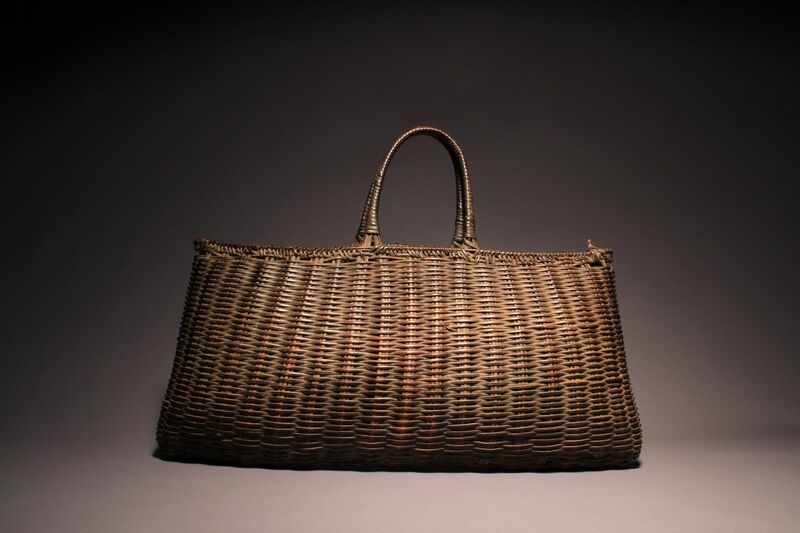 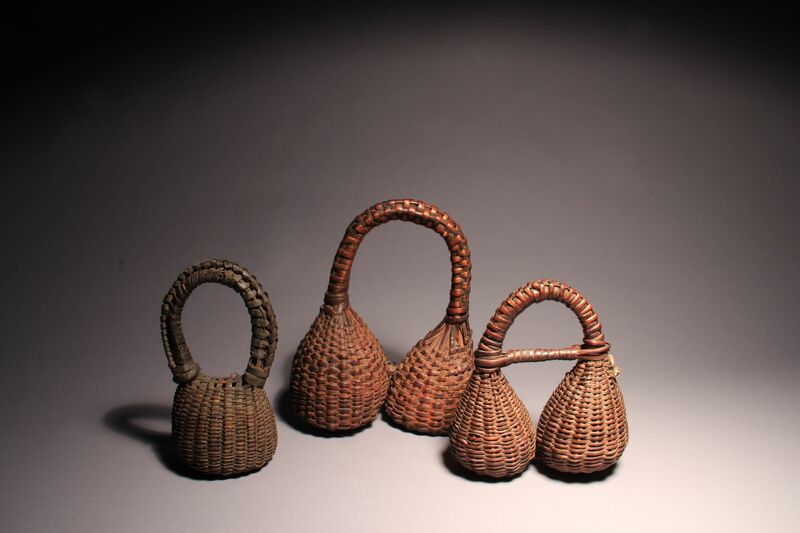 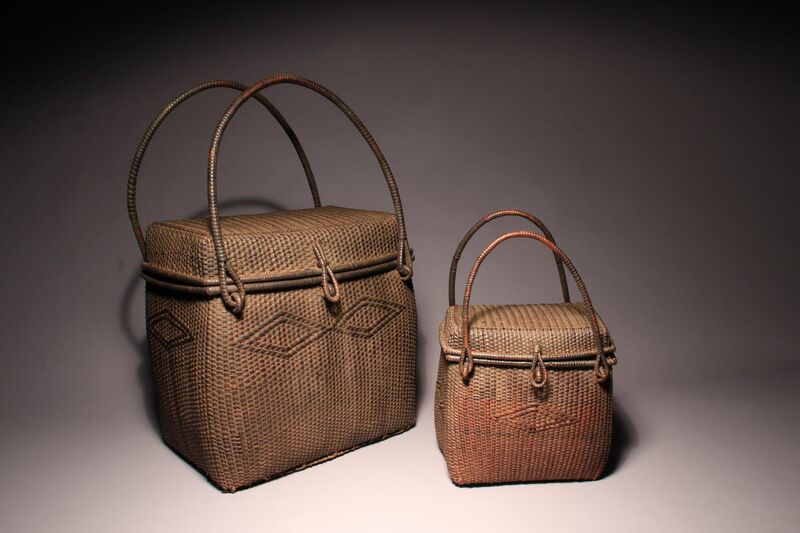 A Western obsession with wooden figurative sculpture resulted in basketry being rarely studied. 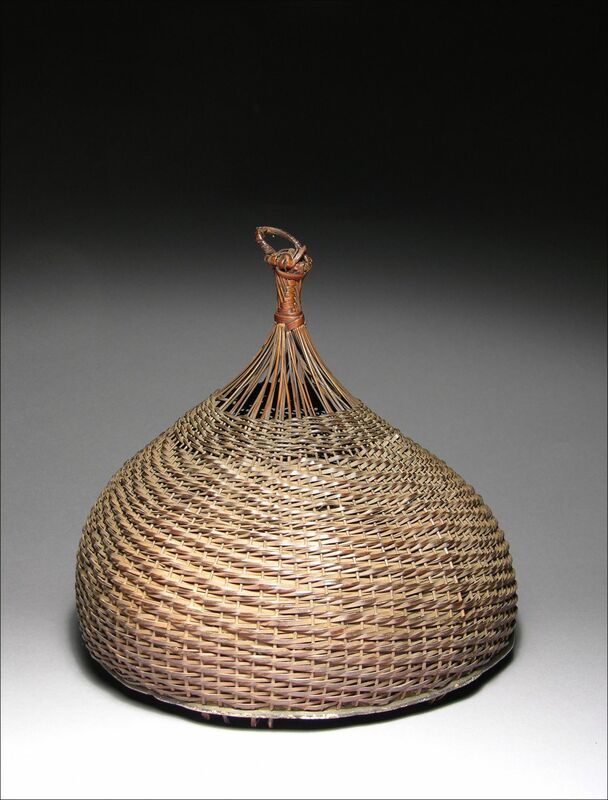 When basketry was collected it was usually placed in natural history or ethnography museums in dioramas of native life in the colonies. 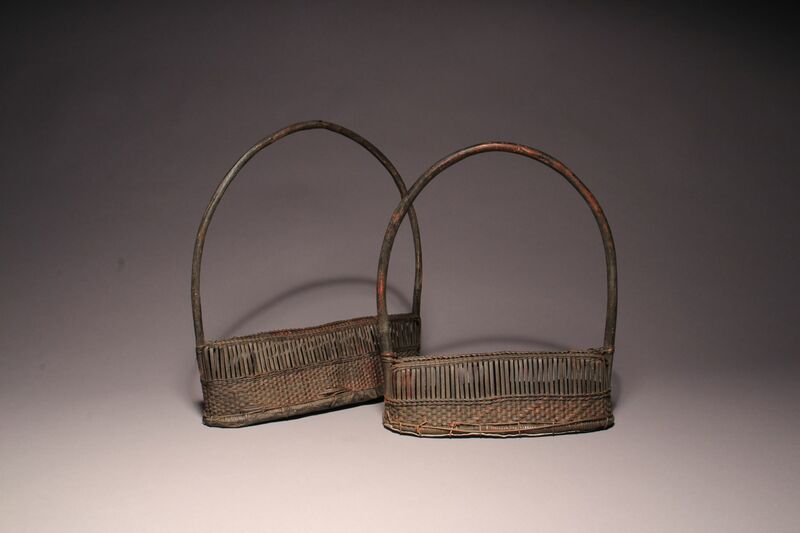 Precise identification of many old baskets is difficult. 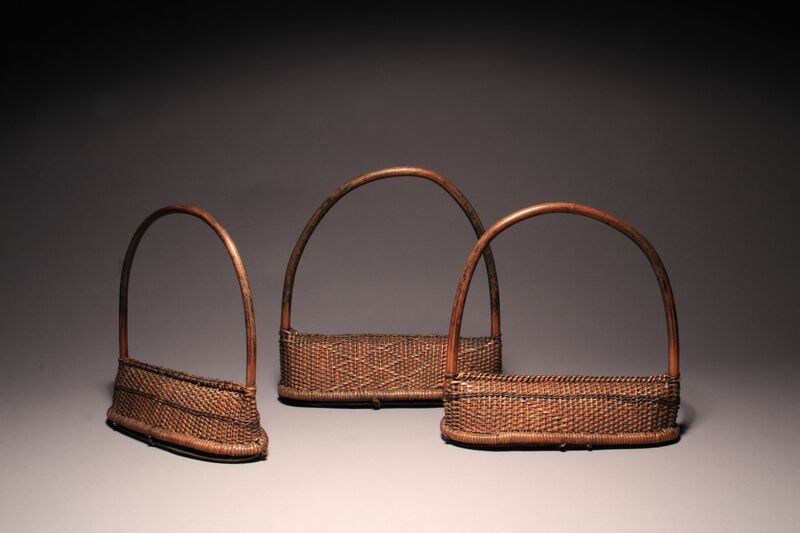 Often one must rely on an old carte de visite that shows a ‘native’ scene containing basketry that might assist in identification. 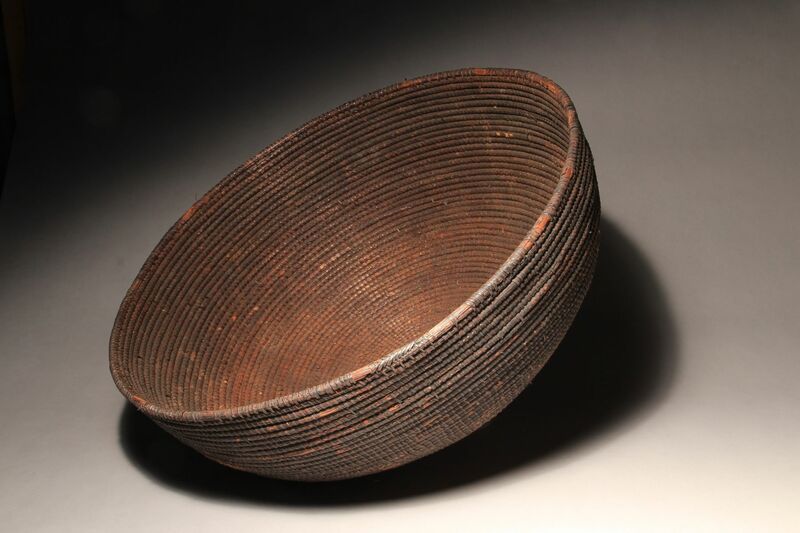 A relevant ethnic group or geographical location may be attached to a piece but rarely is the precise function noted. 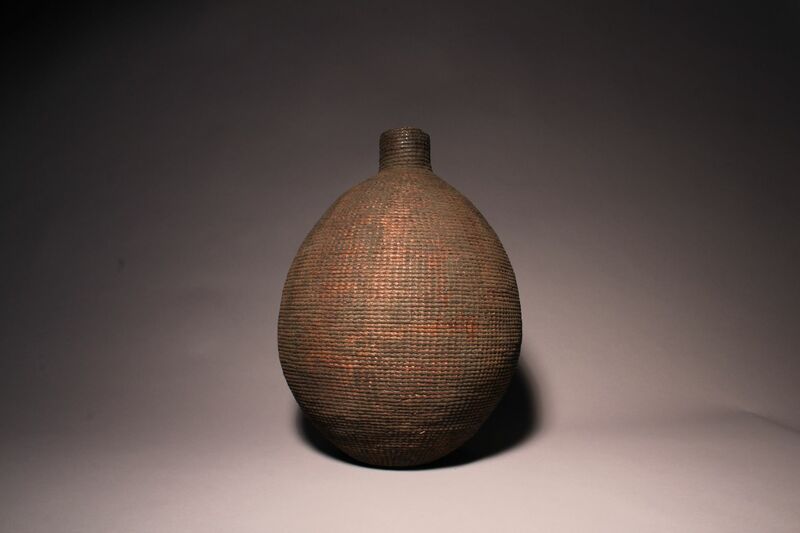 Undoubtedly there is much coded information in pattern and form that has been lost. 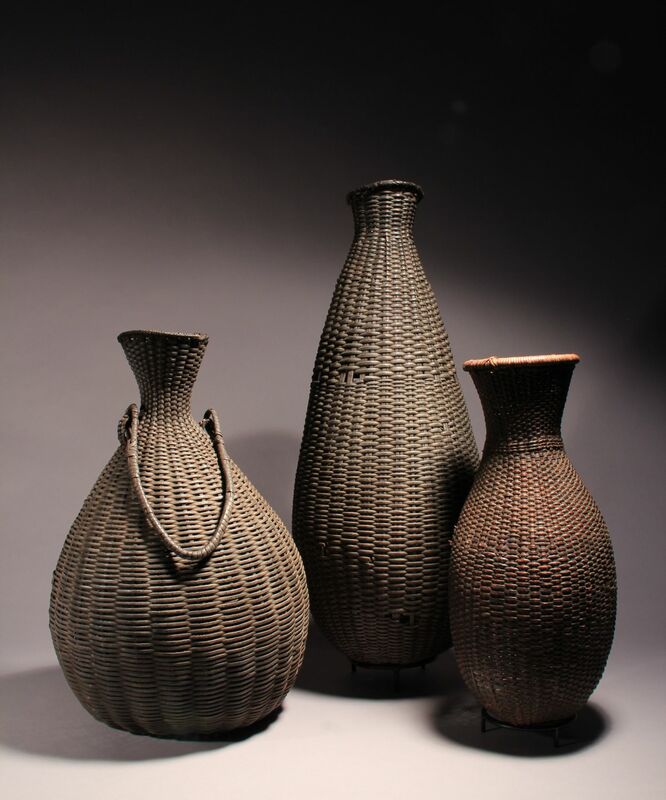 In spite of this the very high level of craft and creativity exemplified in African basketry is in itself justification for serious attention. 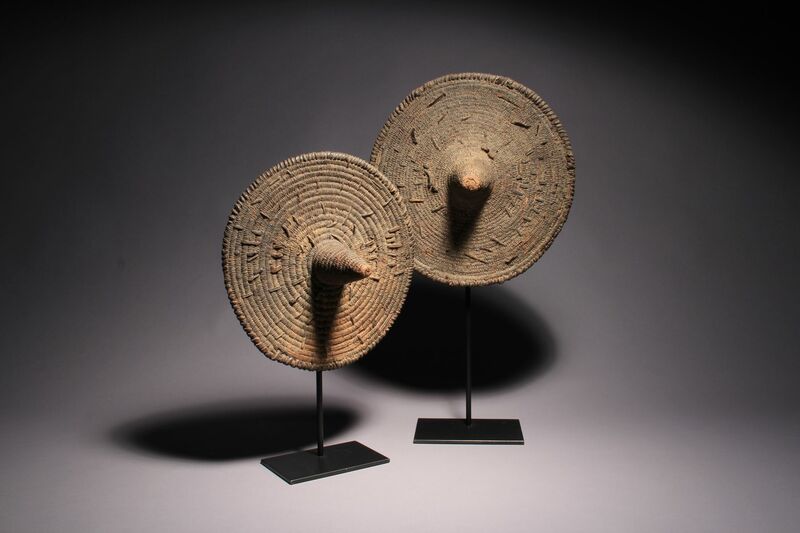 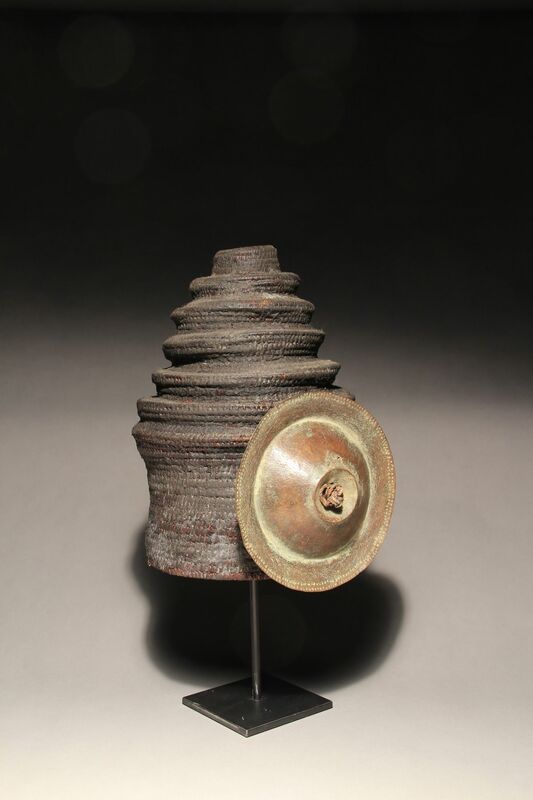 This exhibition features shields, rattles, architectural elements, headpieces, and functional containers. 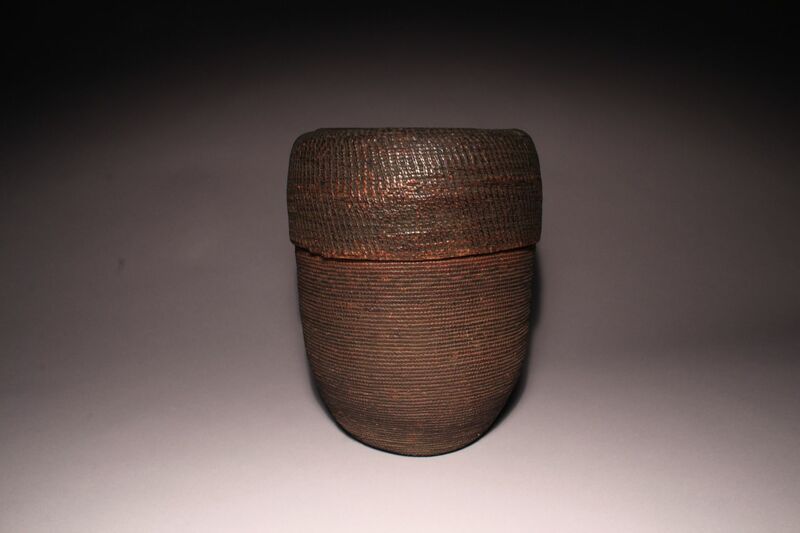 Dating the pieces is extremely difficult but most probably date during the early decades of the 20th century. 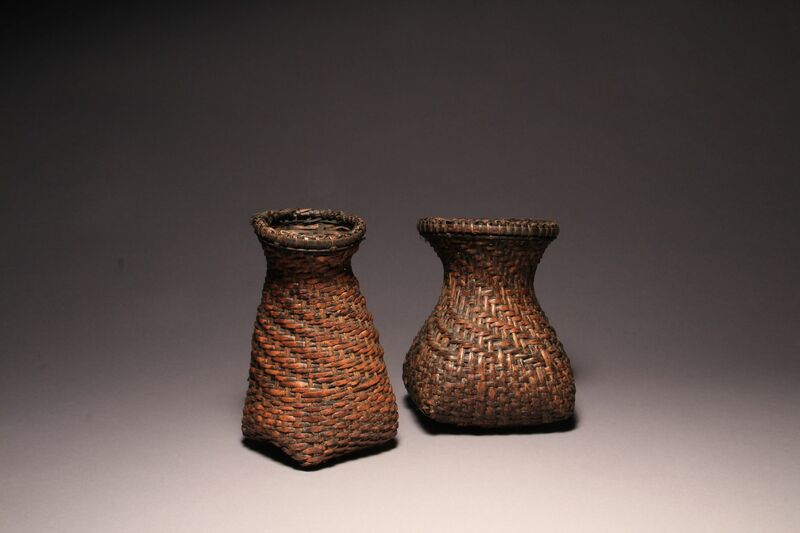 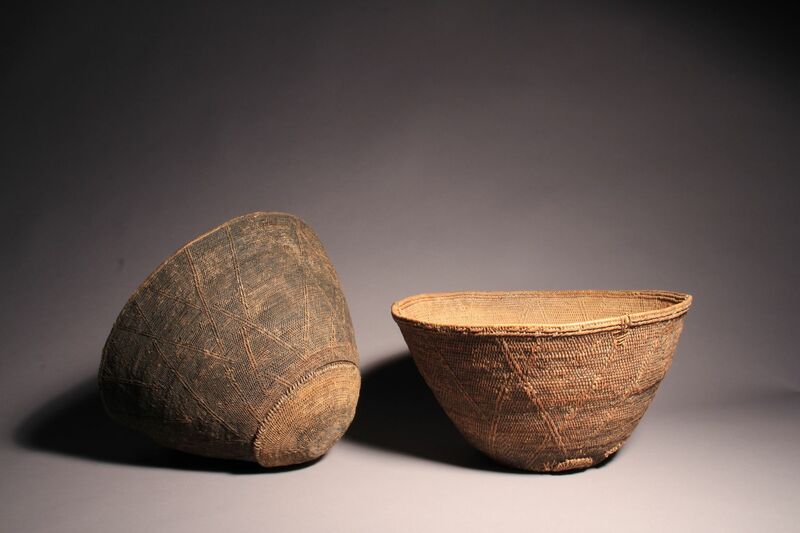 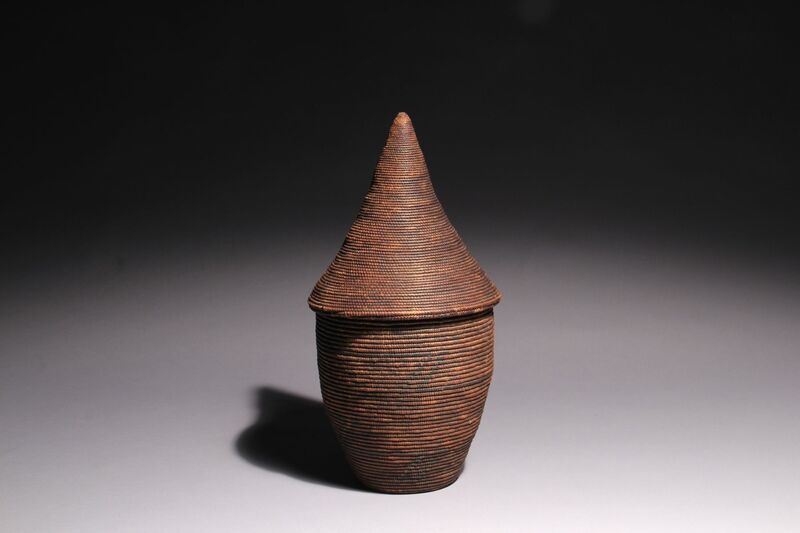 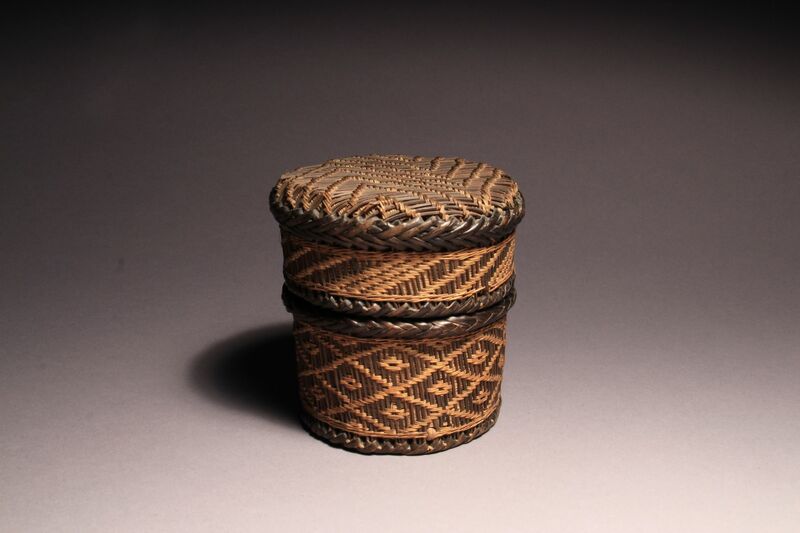 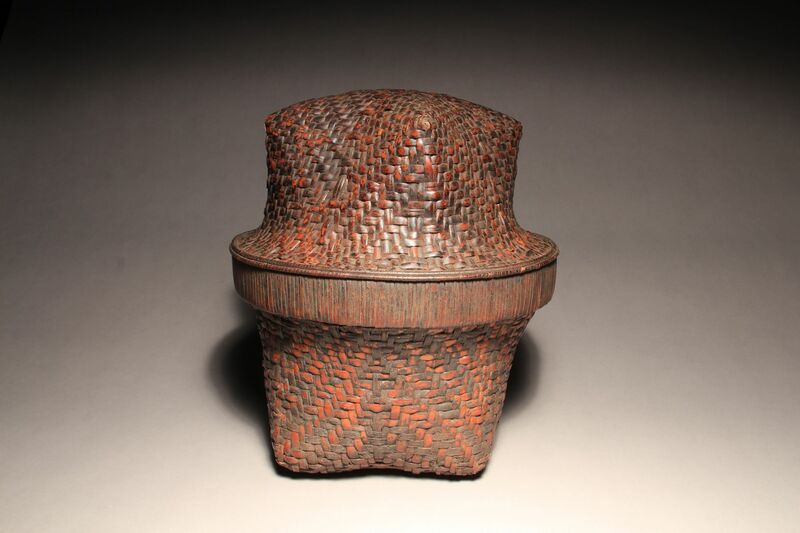 They range from tiny, extremely finely woven lidded baskets from the Tutsi of Rwanda to massive, bowl-shaped baskets that could hold several bushels of some grain from Cameroon. 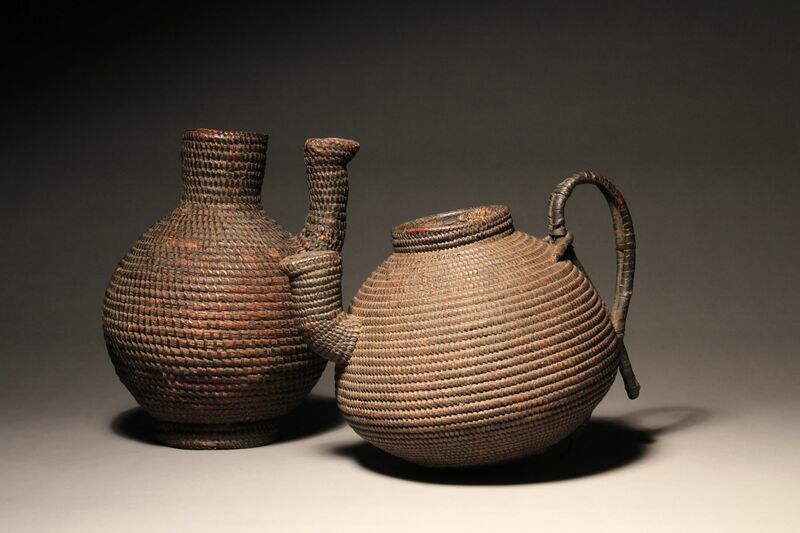 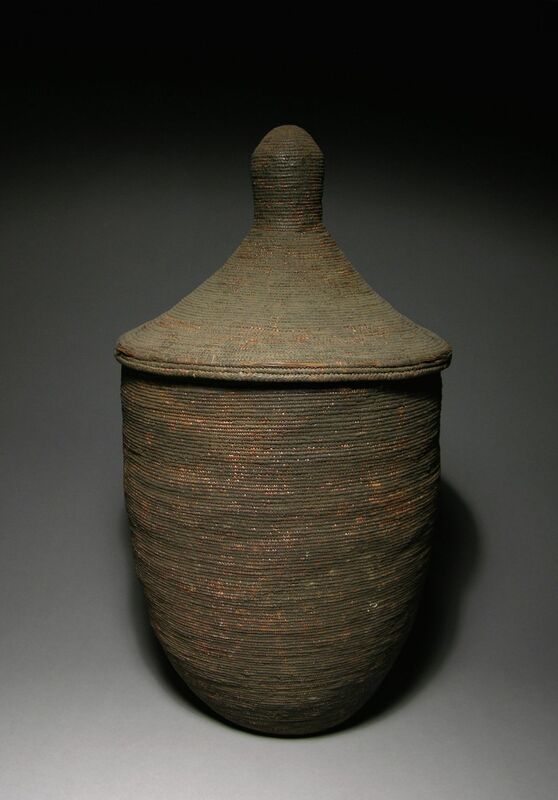 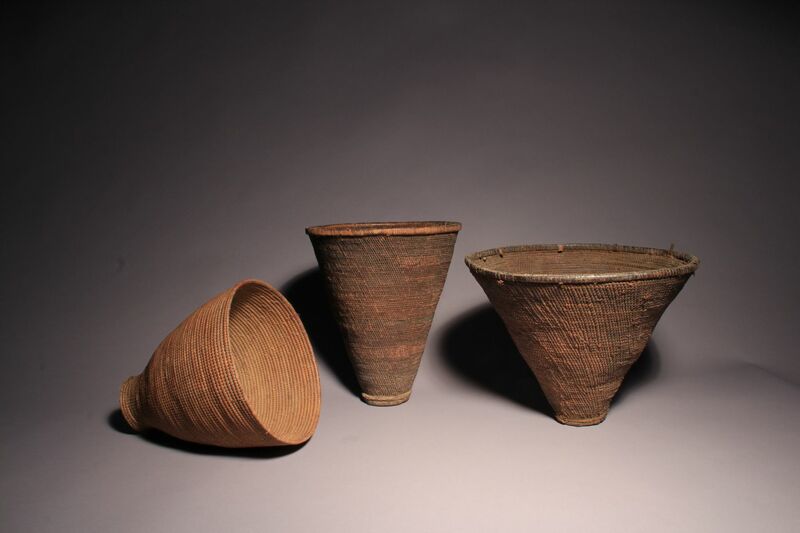 Several mimic the shape of objects of other materials; tea pots, ceramics vessels, and metal containers for example. 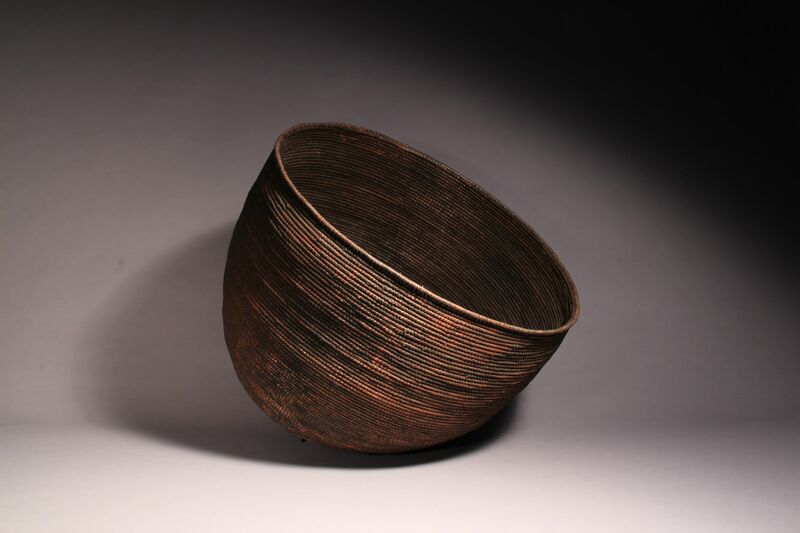 Most have beautiful, patinated surfaces that are a testament to years of use and care. 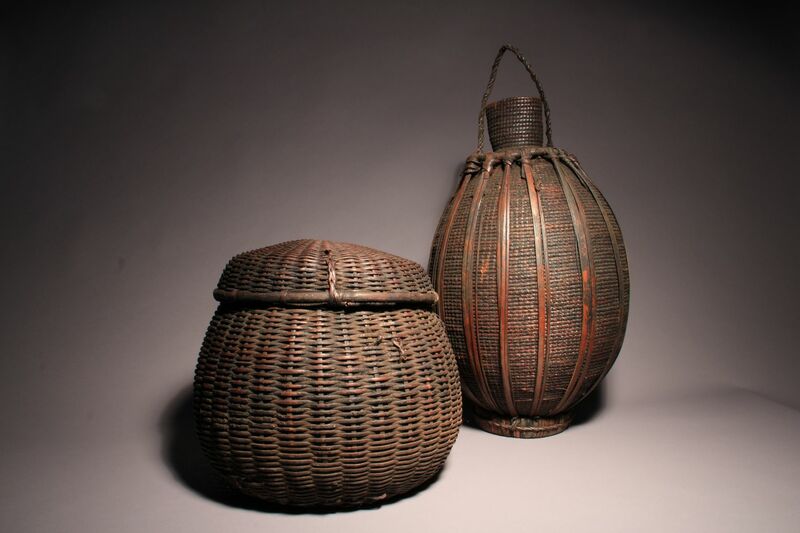 The baskets may be viewed on line at our website, www.douglasdawson.com, or by visiting the gallery at 224 S Michigan Ave, Suite 266, Chicago, Il 60604.